French audience research outfit Médiamétrie has broadened the scope of its ‘four-screen TV’ audience measurement system by integrating Canal+ OTT distribution platform MyCanal. Médiamétrie customers will now be able to view the performance of their programmes broadcast on the MyCanal platform. The results will be included in the Programme Focus four screens service, which measures daily ratings for television content that has been broadcast live and catch-up across television, computer, smartphone and tablet. Médiamétrie said that MyCanal had been working closely with it on an audience measurement system that can dentify content consumption across all its internet and app environments, as well as via all digital screens. Julien Rosanvallon, Médiamétrie’s head of digital and TV departments, said that the move was “an important step” that illustrated the technological and scientific developments it has worked to achieve in recent years, “combining panels and big data, with the aim of delivering ever more comprehensive and refined measurement to the marketplace”. 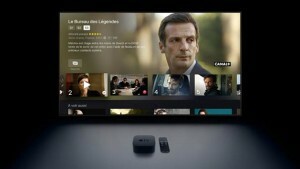 Frank Cadoret, deputy director-general of Canal+ Group in charge of France, said that time-shifted viewing on MyCanal had doubled in one year, while millions of viewers had adopted features such as multi-live, download and personal recommendations. “The innovative technological developments deployed by Canal+ Group and Médiamétrie during this project confirm MyCanal platform’s unique status as an OTT content aggregator mixing live, catch-up and VOD content. Four-screen audience measurement is one step in the establishment of services which MyCanal will offer to its broadcasting partners, both subscribers and non-subscribers, based on Canal+ Group’s expertise in data,” he said.